Kenny Bell catches a touchdown pass in the back of the end zone early in the fourth quarter. 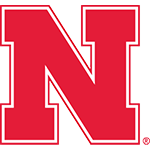 Huskers work OT for 37-34 win over Iowa: Nebraska overcame a 24-7 third-quarter deficit, as Tommy Armstrong Jr. threw a career-high four touchdowns, giving Nebraska a 37-34 win over Iowa. 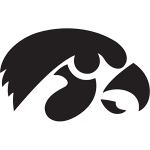 After Iowa scored a field goal on its first overtime possession, the Huskers faced 3rd and 6 at the Iowa 21-yard line. Armstrong kept the drive alive by hitting Kenny Bell for 12 yards to the Iowa 9. On the next play, Amstrong scrambled and found Bell at the pylon in the front corner of the end zone, giving the Huskers the win. De'Mornay Pierson-El gets past the final Hawkeye on his punt return TD. This is one of the most entertaining games Nebraska has played in the last two years, and that almost means more than the win itself. If you think Nebraska football is in a rut, check out Iowa. Playmakers were the story Friday. Imagine that. Imagine focusing on players and not the head coach or the athletic director or the chancellor. It’s the kind of game that reminds people why they want to root for Pelini, if only they could forget the past two games. Friday’s game didn’t change the conversation much. There was a sliver – or maybe just two red zone turnovers – separating the Huskers and Hawkeyes. This game was the latest in a pattern of unpredictable Husker mood swings under Pelini’s leadership. Nebraska is stuck in Pigskin Purgatory. It’s crazy to keep Pelini. It’s crazy to fire him. There are no good options. This win doesn’t complicate things. You can’t judge a program on one game. These last three weeks have not been fun for anybody around the program. Still, through it all this team somehow found a way to win. Quarterbacks are all about leader­ship, attention to detail and a relentless competitive nature, and Armstrong turned on the power button in all three areas.